Annielaural is a writer who loves culture, who seeks the secrets of success in tribes, families, and individuals across the planet via her own journeys in literature and in real life. Okd, first post! Traveling across Montana on Interstate 90 and 94 reminds me of one of the greatest American stories - the journey of Lewis and Clark across the Louisiana Purchase in the very early 1800s. And that is precisely what I have done today. The Yellowstone River has to be at flood stage this day after over fifty hours of rain. The various streams and rivers like the Rosebud swiftly join the larger river that flows into the Missouri and thence into the Mississippi. The forest fires blacken ridges of trees surrounded by greenest ground cover because of this spring's rains. Cows and calfs drift over hillsides munching the new grass. Montana at this time of year It reminds me of Flight Behavior by Barbara Kingsolver, a tale of other rains, devastating to the people of Tennessee and to the climate change that wreaks havoc with the Monarch Butterfly populations. But the worst calamity settled upon the land by a reacting natural process is echoed in the behavior of the humans who tell the story. 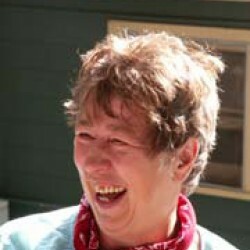 Kingsolver has focused her story telling craft to keep us engaged with the humans as well as with the critters. Try her work, you may also enjoy and learn. 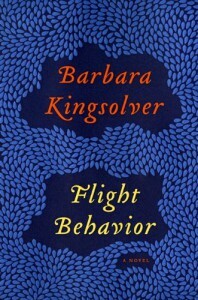 We always have the opportunity to learn with a Kingsolver tale.